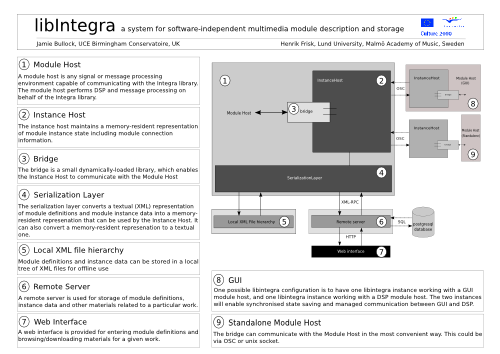 On Monday morning I will be presenting an article about the Integra library that primarily myself and Jamie Bullock has been working on. Please come and see me at Auditorium 3 at the School of Architecture in Copenhagen at 8.40 in the morning of Monday August 27. For more info please see the www.icmc2007.net website. Download the article or browse all downloadable papers on this site.